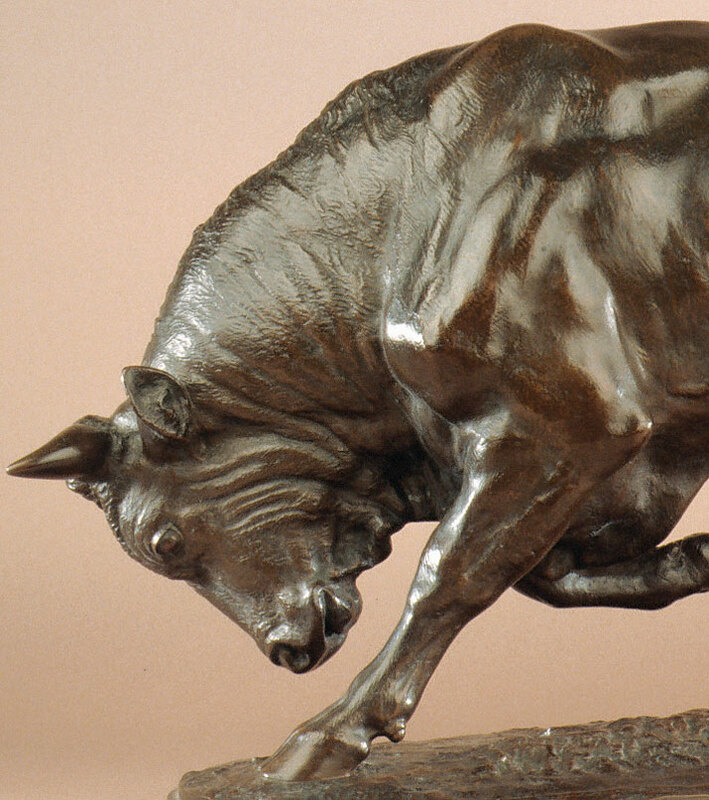 This large finely detailed and finished bronze of the Charging Bull is the pendant to the Bellowing Bull. 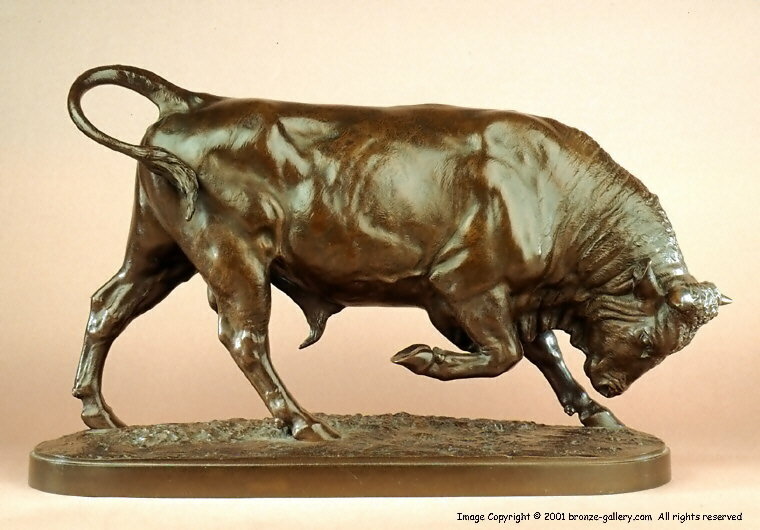 Isidore Bonheur is best known for his domestic cattle and bulls and this large Charging Bull was cast by his brother-in-law Hippolyte Peyrol and marked with the Peyrol foundry stamp. This cast of the Charging Bull is also stamped Tiffany & Co. showing that it was sold by this famous New York City retailer in the late 19th century. This Bull is finished in a beautiful deep brown patina and has good details in the cast showing the muscles and hide. 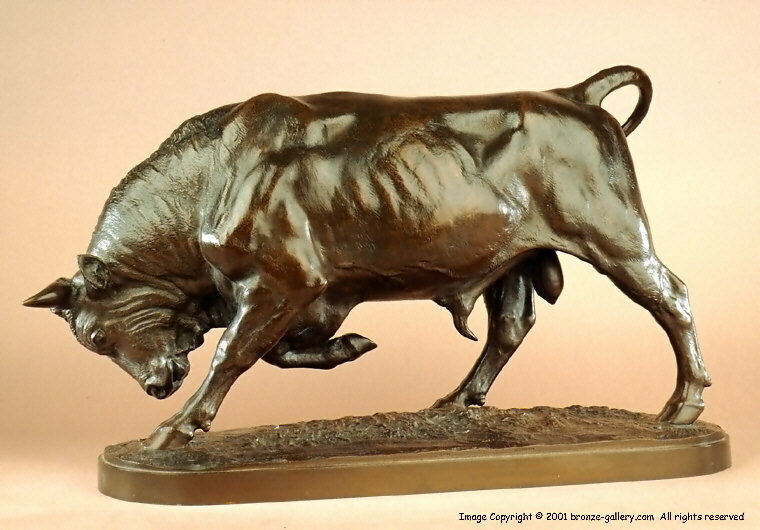 It is rare to find a pair of such large bronzes and these large impressive Bulls would be the focal point of any room. These Bulls were exhibited by Isidore Bonheur at the 1865 Paris Salon. They were very well accepted at this showing and Sultan Abdul-Aziz commissioned Bonheur to do them in a monumental size for his Palace in Constantinople. Another pair of Bulls were purchased by Samuel Pomeroy Colt for the entrance to his Bristol estate in Rhode Island which is now Colt State Park.